Delta Ventilation fan features innovative brushless DC motor technology to ensure quiet operation. It has blue and amber LED lights to indicate humidity control and full speed modes. It uses 4-Inch ducts. It includes 10-3/4-Inch x 10-3/4-Inch grille and hanger bars. It has a humidity sensor, which has adjustable relative humidity set point and triggers for full speed operation. Humidity sensor has adjustable humidity set points between 50 to 80% RH and supports adjustable low-speed operation for continuous operation. This ventilation fan delivers airflow of up to 50 CFM at 0.1-Inch static pressure, 35 CFM at 0.25-Inch static pressure, 80 CFM at 0.1-Inch static pressure and 64 CFM at 0.25-Inch static pressure. It comes with 8-1/4-Inch x 8-Inch mounting opening. It has noise level of less than 0.3 Sone at 0.1-Inch static pressure, 1 Sone at 0.25-Inch static pressure with continuous low speed, 0.8 Sone at 0.1-Inch static pressure and 1.5 Sones at 0.25-Inch static pressure with full speed. It has voltage rating of 120-Volts and current rating of 0.22-Amp at 60-Hz. This ventilation fan has power rating of 4-Watts at 0.1-Inch static pressure, 5-Watts at 0.25-Inch static pressure, 9.7-Watts at 0.1-Inch static pressure and 11.8-Watts at 0.25-Inch static pressure. It has energy efficiency of 12.5 CFM/Watt at 0.1-Inch static pressure, 5.8 CFM/Watt at 0.25-Inch static pressure with continuous low speed, 8.2 CFM/Watt at 0.1-Inch static pressure and 5.4 CFM/Watt at 0.25-Inch static pressure. 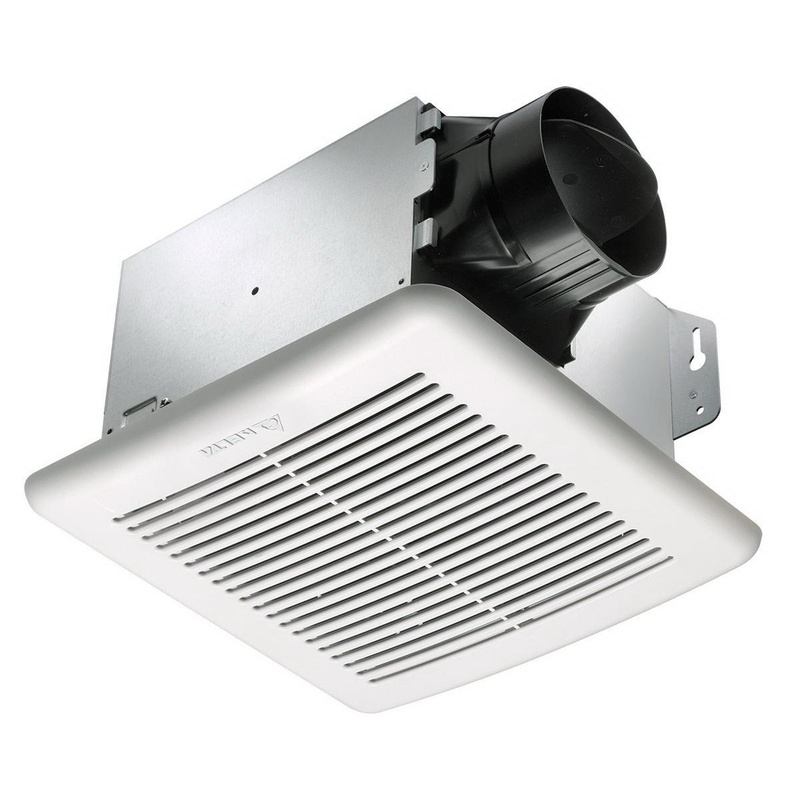 Ventilation fan is UL/cUL listed, HVI/Energy Star certified and ISO 9001 factory certified.